For a history and broad definition of the term, see Modernism. For other uses of the word, see Modernism (disambiguation). In the Catholic Church, modernism refers to theological opinions expressed during the late 19th and early 20th centuries, but with influence reaching into the 21st century, which are characterized by a break with the past. Modernist Catholics form an amorphous group. The term appears in the 1907 encyclical Pascendi dominici gregis, in which Pope Pius X condemns modernism as embracing of every heresy. Modernists, and what are now termed "neo-modernists", generally do not openly use this label in describing themselves, although traditionalist Catholics continue to use the term. Modernists came to prominence in French and British intellectual circles and, to a lesser extent, in Italy. The modernist movement was influenced by Protestant theologians and clergy, starting with the Tübingen School in the mid-19th century. Some modernists, however, such as George Tyrrell, S.J., would disagree with this; Tyrrell saw himself as loyal to the unity of the Church, and disliked liberal Protestantism. A rationalistic approach to the Bible. The rationalism that was characteristic of the Enlightenment took a protomaterialistic view of miracles and of the historicity of biblical narratives. This approach sought to interpret the Bible by focusing on the text itself as a prelude to considering what the Church Fathers had traditionally taught about it. This method was readily accepted by Protestants and Anglicans. It was the natural consequence of Martin Luther’s sola scriptura doctrine, which asserts that Scripture is the highest authority, and that it can be relied on alone in all things pertaining to salvation and the Christian life. Secularism and other Enlightenment ideals. The ideal of secularism can be briefly stated as follows: the best course of action in politics and other civic fields is that which flows from a common understanding of the Good by various groups and religions. By implication, Church and State should be separated and the laws of the latter, for example that forbidding murder, should cover only the common ground of thought systems held by various religious groups. From the secularists’ point of view it was possible to distinguish between political ideas and structures that were religious and those that were not, but Catholic theologians in the mainstream argued, following St. Thomas Aquinas, that such a distinction was not possible: All aspects of society were to be organized with the final goal of Heaven in mind. However, the humanist model which had been in the forefront of intellectual thought since the Renaissance and the scientific revolution was directly opposed to the Thomist view. Modern philosophical systems. Philosophers such as Kant and Bergson inspired the mainstream of modernist thought. One of the latter’s main currents attempted to synthesize the vocabularies, epistemologies, metaphysics and other features of certain modern systems of philosophy with Catholicism in much the same way as the Scholastic order had earlier attempted to synthesize Platonic and Aristotelian philosophy with the Church's teaching. Theological rebellion in contradistinction or opposition to the Church's official policies, notably among Jesuits and the Leadership Conference of Women Religious. As more naturalistic and scientific studies of history appeared, a way of thinking called historicism arose which suggested that ideas are conditioned by the age in which they are expressed; thus modernists generally believed that most dogma or teachings of the Church were novelties which arose because of specific circumstances obtaining at given points in its history. At the same time rationalism and literary criticism reduced the possible role of the miraculous, so that the philosophical systems in vogue at the time taught among other things that the existence of God could never be known (see Agnosticism). Theology, formerly “queen of the sciences”, was dethroned, and it was argued that religion must primarily be caused by, and thus be centered on, the feelings of believers. This argument bolsters the impact of secularism by weakening any position supporting the favouring of one religion over another in a given state, on the principle that if no scientific and reasonable assumption of its truth can be made, society should not be so organised as to privilege any particular religion. The final overall teaching of modernism is that dogmata (the teachings of the Church, which its members are required to believe) can evolve over time – not only in their expression but also in their substance – rather than remaining the same in substance for all time. This postulate was what made modernism unique in the history of heresies in the Church. Previously, a heretic (someone who believed and taught something different from what the rest of the church believed) would either claim that he was right and the rest of the Church was wrong because he had received a new revelation from God, or that he had understood the true teaching of God which had previously been understood but was later lost. Both of these scenarios almost inevitably led to an organisational separation from the Church (schism) or the offender’s being ejected from it (excommunication). Using the new idea that doctrines evolve, it was possible for the modernist to believe that both the old teachings of the Church and his new, seemingly contradictory teachings were correct — each group had its time and place. This system allows almost any type of new belief which the modernist in question might wish to introduce, and for this reason modernism was labelled by Pope Pius X as "the synthesis of all heresies". The "evolution of dogma" theory (see Development of doctrine), much in the manner of Luther’s theory of salvation sola fide ('by faith alone') allows for a constant updating of standards of morality. The phrase sola fide derives from Pange Lingua Gloriosi Corporis Mysterium, a Eucharistic hymn by St. Thomas Aquinas: et si sensus deficit, | ad firmandum cor sincerum | sola fides sufficit. Since majority moral standards shifted heavily during the 20th century, Catholics not accepting the theory were placed in the position of having to abstain from receiving Communion if they wished to engage in some of the actions of some of their fellow-religionists. As for the others, the theory that dogma can change enabled them, as they saw it, to “update” Catholic morality while not being concerned with possible contradictions. In 1893, Pope Leo XIII’s encyclical Providentissimus Deus affirmed in principle the legitimacy of Biblical criticism only insofar as it was pursued in a spirit of faith. 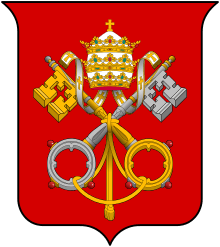 In 1903 Leo established a Pontifical Biblical Commission to oversee those studies and ensure that they were conducted with respect for the Catholic doctrines on the inspiration and interpretation of scripture. Pope Pius X, who succeeded Leo, was the first to identify modernism as a movement. He frequently condemned both its aims and ideas, and was deeply concerned by the ability of modernism to allow its adherents to go on believing themselves strict Catholics while having an understanding markedly different from the traditional one as to what that meant (a consequence of the notion of evolution of dogma). In July 1907 the Holy Office published the document Lamentabili sane exitu, a sweeping condemnation which distinguished sixty-five propositions as modernist heresies. In September of the same year Pius X promulgated an encyclical Pascendi dominici gregis, followed in 1910 by the introduction of an anti-modernist oath to be taken by all Catholic bishops, priests and academic teachers of religion. To ensure enforcement of these decisions, Monsignor Umberto Benigni organized, through his personal contacts with theologians, an unofficial group of censors who would report to him those thought to be teaching condemned doctrine. This group was called the Sodalitium Pianum, i.e. Fellowship of Pius (X), which in France was known as La Sapinière. Its frequently overzealous and clandestine methods often hindered rather than helped the Church in its combat with modernism. In the period between World War II and the Cold War Reginald Garrigou-Lagrange O.P. was the "torchbearer of orthodox Thomism" against modernism. Garrigou-Lagrange, who was a professor of philosophy and theology at the Pontifical University of St. Thomas Aquinas, Angelicum, is commonly held to have influenced the decision in 1942 to place the privately circulated book Une école de théologie: le Saulchoir (Étiolles 1937) by Marie-Dominique Chenu O.P. on the Vatican's "Index of Forbidden Books" as the culmination of a polemic within the Dominican Order between the Angelicum supporters of a speculative scholasticism and the French revival Thomists who were more attentive to historical hermeneutics, such as Yves Congar O.P.. Congar's Chrétiens désunis was also suspected of modernism because its methodology derived more from religious experience than from syllogistic analysis. Since Pope Paul VI, most Church authorities have largely dropped the term "modernism", preferring instead in the interest of precision to call beliefs such as secularism, liberalism or relativism by their several names. The older term has however remained current in the usage of many Traditionalist Catholics and conservative critics within the Church. Alfred Loisy (1857–1940), a French priest whose L'Évangile et L’Église (1902) sparked the crisis; he was excommunicated vitandus in 1908. ↑ Vermeersch, Arthur (1911). "Modernism". The Catholic Encyclopedia. 10. New York: Robert Appleton Company. Retrieved 8 June 2016. ↑ O'Connell, Marvin Richard (1994). Critics on Trial: An Introduction to the Catholic Modernist Crisis. Washington, D.C.: Catholic University of America Press. ISBN 9780813208008. Retrieved 8 June 2016. ↑ Hales, Edward Elton Young (1960). The Catholic Church in the Modern World: A Survey from the French Revolution to the Present. Image Books. 95. Garden City, New York: Doubleday. Retrieved 8 June 2016. ↑ "Modernism (Roman Catholicism)". Encyclopædia Britannica. Encyclopædia Britannica, Inc. 8 December 2006. Retrieved 8 June 2016. ↑ Thomas Marschler (2002). "Benigni, Umberto". In Bautz, Traugott. Biographisch-Bibliographisches Kirchenlexikon (BBKL) (in German). 20. Nordhausen: Bautz. cols. 113–116. ISBN 3-88309-091-3. 1 2 Losito, Giacomo (2011). "Le eredità/2: i postumi della crisi modernista [1914-1958]" [Inheritances / 2: The Aftermath of the Modernist Crisis [1914-1958]]. Treccani (in Italian). l'Istituto della Enciclopedia Italiana. Retrieved 8 June 2016. ↑ Congar, Yves (1937). Chrétiens désunis: principes d'un "oecuménisme" catholique [Disunited Christians: Principles of a Catholic "Ecumenism"]. Unam sanctam (in French). 1. Paris: Éditions du Cerf. Retrieved 8 June 2016. ↑ McBrien, Richard P., ed. (1995). "Modernism". The HarperCollins Encyclopedia of Catholicism (1st ed.). New York: Harper Collins. p. 304. ISBN 9780060653385. Retrieved 8 June 2016. ↑ McInerny, Ralph (2006). Praeambula Fidei: Thomism and the God of the Philosophers. Washington, D.C.: Catholic University of America Press. ISBN 9780813214580. Retrieved 8 June 2016. Altholz, Josef L. (1962). The Liberal Catholic Movement in England: The 'Rambler' and its Contributors, 1848-1864. London: Burns & Oates. Amerio, Romano (1996). Iota Unum: A Study of Changes in the Catholic Church in the XXth Century. Kansas City, Missouri: Sarto House. ISBN 9780963903211. Retrieved 8 June 2016. Botti, Alfonso; Cerrato, Rocco, eds. (2000). Il Modernismo Tra Cristianitā e Secolarizzazione: Atti Del Convegno Internazionale Di Urbino, 1-4 Ottobre 1997 [Modernism between Christianity and Secularization: Proceedings of the International Conference of Urbino, 1–4 October 1997]. Studi e testi (in Italian). 6. QuattroVenti. ISBN 9788839205452. Retrieved 8 June 2016. Botti, Alfonso; Cerrato, Rocco; Biagioli, Ilaria, eds. (2004). Romolo Murri e i murrismi in Italia e in Europa cent'anni dopo: atti del Convegno internazionale di Urbino, 24-26 settembre 2001 [Romolo Murri and the Murrismi in Italy and in Europe One Hundred Years Later: Proceedings of the International Conference of Urbino, 24–26 September 2001]. Studi e testi (in Italian). 7. QuattroVenti. ISBN 9788839206817. Retrieved 8 June 2016. Bourmaud, Dominique (2006). One Hundred Years of Modernism: A History of Modernism, Aristotle to the Second Vatican Council. Kansas City, Missouri: Angelus Press. ISBN 9781892331434. OCLC 72871306. Retrieved 8 June 2016. Dalberg-Acton, John Emerich Edward (1907). Figgis, John Neville; Laurence, Reginald Vere, eds. The History of Freedom and Other Essays. London: Macmillan and Co., Ltd. Retrieved 8 June 2016. Fawkes, Alfred (17 July 2015) . Studies in Modernism. London: Forgotten Books. OCLC 3307790. Retrieved 8 June 2016. Gauthier, Pierre (1988). Newman et Blondel: tradition et développement du dogme [Newman and Blondel: Tradition and the Development of Dogma]. Cogitatio fidei (in French). 147. Éditions du Cerf. ISBN 9782204028547. Retrieved 8 June 2016. Hales, Edward Elton Young (1960). The Catholic Church in the Modern World: A Survey from the French Revolution to the Present. Image Books. 95. Garden City, New York: Doubleday. Retrieved 8 June 2016. Hales, Edward Elton Young (1954). Pio Nono: A Study in European Politics and Religion in the Nineteenth Century (2nd ed.). London: Eyre and Spottiswoode. Retrieved 8 June 2016. Izquierdo, César (1990). Blondel y la crisis modernista: análysis de "Historia y dogma" [Blondel and the Modernist Crisis: Analysis of "History and Dogma"]. Colección teológica de la Universidad de Navarra. 71 (Illustrated ed.). Pamplona: Ediciones Universidad de Navarra. ISBN 9788431310998. Retrieved 8 June 2016. Jodock, Darrell, ed. (2000). Catholicism Contending with Modernity: Roman Catholic Modernism and Anti-Modernism in Historical Context. Cambridge: Cambridge University Press. ISBN 9780521770712. Retrieved 8 June 2016. Loome, Thomas Michael (1979). Liberal Catholicism, Reform Catholicism, Modernism: A Contribution to a New Orientation in Modernist Research. Tübinger theologische Studien. 14. Mainz: Matthias-Grünewald-Verlag. ISBN 3786706603. Mettepenningen, Jürgen (2010). Nouvelle Théologie - New Theology: Inheritor of Modernism, Precursor of Vatican II. New York: Bloomsbury Publishing. ISBN 9780567299918. OCLC 676696271. Retrieved 8 June 2016. Cf. Kerr, Fergus (2 October 2010). "Shock of the new". The Tablet. DeSales Media Group, Inc. p. 24. Retrieved 8 June 2016. O'Connell, Marvin Richard (1994). Critics on Trial: An Introduction to the Catholic Modernist Crisis. Washington, D.C.: Catholic University of America Press. ISBN 9780813208008. Retrieved 8 June 2016. Poulat, Émile (1979). Histoire, dogme et critique dans la crise moderniste [History, Dogma, and Critique in the Modernist Crisis]. Religion et Sociétés. 67. Tournai: Casterman. ISBN 9782203290563. Retrieved 8 June 2016. Sinke Guimara̋es, Atila (1999). In the Murky Waters of Vatican II. Eli, Eli, Lamma sabacthani?. 1 (2nd ed.). Tan Books and Publishers. ISBN 9780895556363. Retrieved 8 June 2016. Virgoulay, René (1980). Blondel et le modernisme: la philosophie de l'action et les sciences religieuses, 1896-1913. Paris: Éditions du Cerf. ISBN 9782204015097. Retrieved 8 June 2016. Garrigou-Lagrange, Réginald (2013). The Essence & Topicality of Thomism. ISBN 9781304416186. — Fr. Réginald Garrigou-Lagrange, O.P., explains why Thomism is the solution to the present crisis of Modernism in the Church. Herbermann, Charles, ed. (1913). "Modernism". Catholic Encyclopedia. New York: Robert Appleton Company.